A very rare surgical procedure in Armenia was recently performed in the “Asthic” medical centre in Erevan. The procedure was laparoscopic cystoprostatectomy. 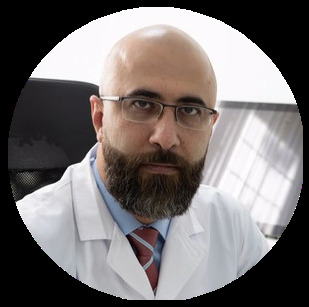 This surgery in Armenia was carried out by the head of Moscow centre for innovative urology, Oganes Dilanyan, who was especially invited to come from Moscow to perform this surgery and Armen Avoyan, who is the head of urology at “Asthic”. This surgery is usually carried out in the presence of bladder cancer when the tumour has penetrated the muscle layer of the bladder. In such cases the bladder is removed together with gonecysts and the prostate. As with other laparoscopic operations this one is also minimally invasive and minimally traumatic and retains all of the advantages of minimal trauma to the body. The absence of a large incision is one of the main advantages of laparoscopic surgery. The operation is carried out via 5 or 6 small incisions (punctures) which are only 5 to 10 mm in diameter, which helps avoid many post-operative complications linked to large incisions and “open abdominal surgery”. The success of this operation was due to professional approach of the entire team. The lymph nodes were also removed because they were are the first to be affected by metastasising tumour. The lymph nodes are removed for diagnostics and treatment purposes. They are thoroughly tested in histology to determine the stage of the tumour and also in order to determine the right course of treatment for the disease. The patient was discharged 5 days following the surgery with no apparent problems. Another advantage of this surgery is quick rehabilitation and the ability to return to normal activities and everyday life very soon after.